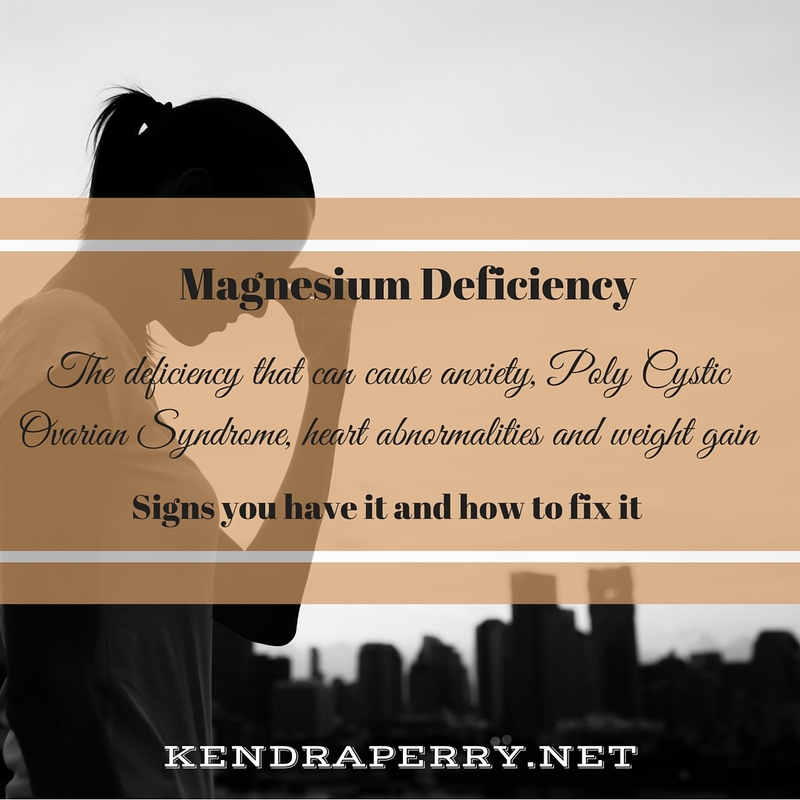 Magnesium Deficiency – The Deficiency That Can Cause Anxiety, PCOS, Abnormal Heart Rhythms, Obesity & More. Did you know that magnesium can help every cell cell in your body function better, boost serotonin, reduce symptoms of PMS, improve your stress management skills, help you get more sleep, and do all this without side effects? Magnesium is often referred to as the most crucial mineral in our bodies. It is your body’s most potent relaxant. It has been well researched and proven to reduce stress and anxiety, improve sleep quality, reduce migraine headaches, improve energy levels, increase insulin sensitivity and enhance daily performance. Did you know that when pregnant women are having seizures, doctors inject them with magnesium sulfate to stop the seizure? That is how powerful magnesium is. Magnesium is crucial for over 300 enzymatic reactions in the body, yet experts have estimated that up to 80% of the population is deficient in this essential mineral. Magnesium deficiency has been linked to a number of symptoms. The main job of magnesium is to produce energy within our cells. That means that every single function, thought and action is completely dependent on magnesium. With levels of deficiency so high, we need to contemplate our magnesium consumption and make sure we are getting enough. How Can Magnesium Support Healthy Hormones? Cortisol Regulation – By calming the nervous system, magnesium prevents the production of excess cortisol. 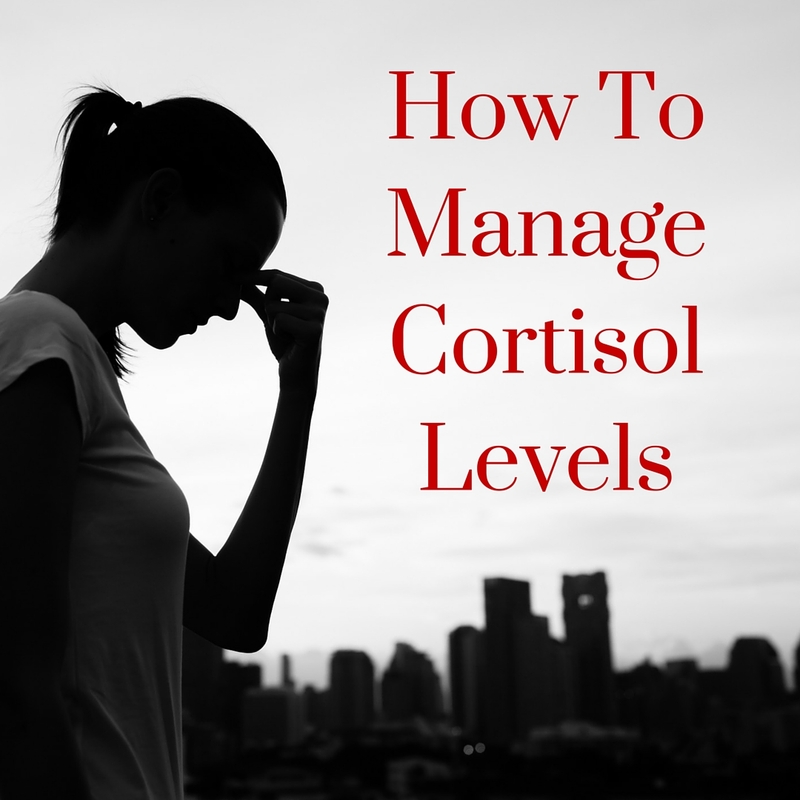 Too much cortisol can cause weight gain, insulin resistance and immune system suppression. Blood Sugar Balancing – Magnesium helps regulate insulin production. When insulin levels are out of whack, you have sugar cravings and struggle to keep weight off. Having stable blood sugar levels is also crucial for preventing diabetes and Polycystic Ovarian Syndrome. Thyroid Support – Magnesium aids in the production of thyroid hormone. 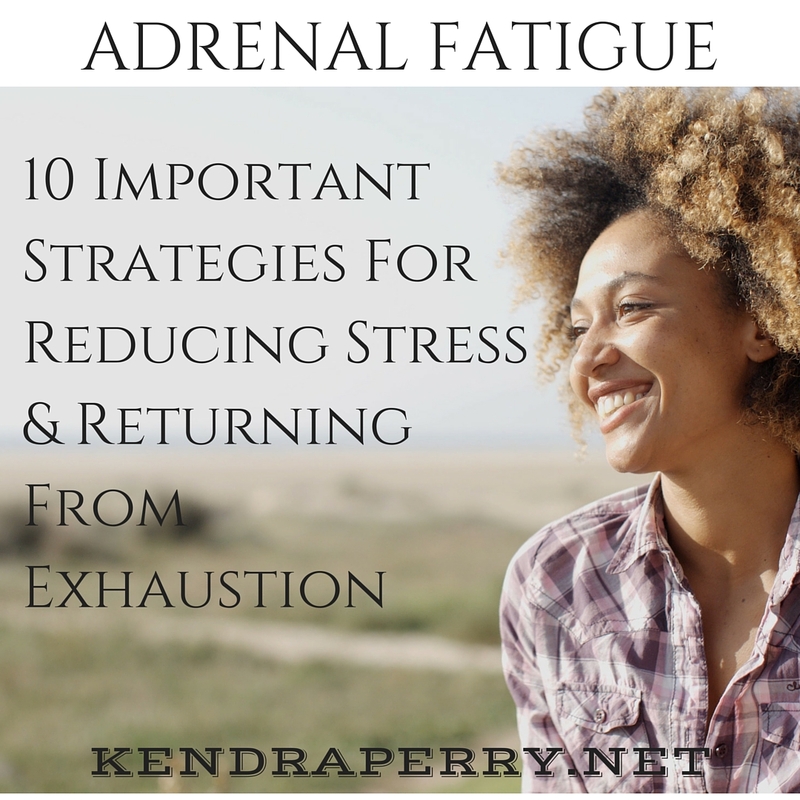 Thyroid is crucial for regulating metabolism and keeping you energized. 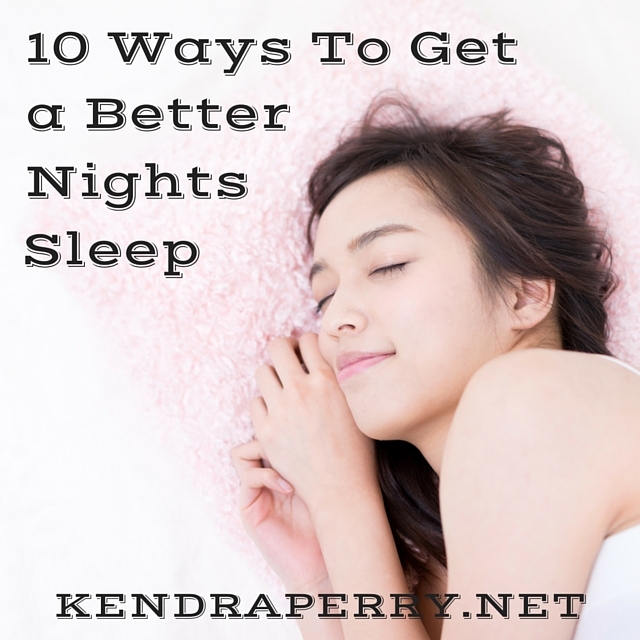 Sleeping – Healthy magnesium levels help you get to sleep and stay asleep. It can also prevent chronic urination which can disrupt sleep. Hormone Creation – Magnesium actually makes progesterone, estrogen and testosterone. If you are going through menopause or just recently stopped taking the pill, boost your magnesium consumption. Firstly, understanding what contributes to magnesium deficiency can help you assess your risk of deficiency. Magnesium is burned quickly by the body to buffer and alleviate the physical symptoms of stress. It soothes the muscles and calms nerve impulses. Since it is a water soluble mineral, it is easily flushed out of the body. If you are chronically stressed than there is a good chance that your magnesium levels are less than optimal. It’s important to be mindful of your stress levels and increase your magnesium intake during these times. My favorite way to increase magnesium is by rubbing magnesium oil on my belly and feet. You can purchase this inexpensively at a natural foods store. Check out the Back to Eeden style of gardening. I just love this! Magnesium is used by the body to breakdown sugar. This means the more you consume sugar and refined foods, the more you deplete your magnesium stores. One of the easiest ways to improve your magnesium profile is to cut down on sugar and eliminate refined foods from your diet. Vitamin D and K are crucial for sufficient magnesium levels. If you are low in either of these vitamins, your magnesium levels will suffer. All forms of magnesium are not made equally. Oral supplementation is not the best way to get magnesium as up 60% is lost in the GI tract, even with the best absorbed forms. My favorite forms are magnesium gyclinate or magnesium bisgyclinate. The cheapest forms of magnesium are the magnesium oxides. These are poorly absorbed and can often cause diarrhea. The best way to get magnesium is through the skin. I recommend magnesium oil or Epsom salts baths (or foot baths if you don’t have a bath tub or live in an area with water restrictions). And if you live near the ocean, get in the sea! Getting enough magnesium and protecting your body’s stores of it is an extremely powerful way to enhance your health and your life. If you have been struggling with muscle twitches/spasms/contractions, seizures, anxiousness, abnormal heart rhythms, numbness and tingling or poor sleep, then give magnesium a try. It may be just what you need to get back on track.